The Medieval Academy of America has informed Fragmentarium that it has been selected for inclusion in the prestigious Medieval Digital Resources, its curated guide and database. Entries in the MDR meet the Medieval Academy of America's scholarly and technical standards for web presentation. Visit our resource page today! 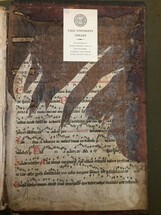 The pioneering project Digital Scriptorium revealed recently that they have undertaken steps to plan for the project's future, organizing in late February 2019 a series of planning meetings for "Digital Scriptorium 2.0", and bringing in a range of experts from around the globe, including Fragmentarium Project Manager William Duba. 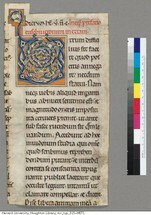 Fragmentarium (https://fragmentarium.ms), the digital laboratory for medieval manuscript fragments, announced today the launch of Fragmentology (http://fragmentology.ms), an international, peer-reviewed Open Access journal dedicated to publishing scholarly articles and reviews concerning medieval manuscript fragments. Fragmentarium contributor Dr. Claudia Sojer will be presenting her fragment project with a poster "Handschriftenfragmente der ULB Tirol" at the conference: Digitale Horizonte. Innovation für Gedächtnis- und Forschungsinstitutionen, Friday 1 March 2019 at the University of Graz. The Marco Institute for Medieval and Renaissance Studies at the University of Tennessee – Knoxville has announced the program for the 14th Annual Manuscript Workshop, entitled Bits and Pieces. Fragmentarium Project Manager, William Duba, will present “Fragmentarium: A Laboratory for Medieval Manuscript Fragments”. 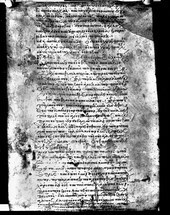 Fragmentarium is an international digital research lab for medieval manuscript fragments that enables libraries, collectors, researchers and students to publish medieval manuscript fragments, allowing them to catalogue, describe, transcribe, assemble and re-use them online. 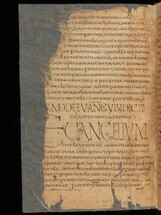 Fragments of medieval manuscripts offer an as-yet largely unexplored field of study. 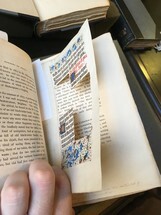 Except for isolated initiatives and individual, often spectacular discoveries, traditional manuscript research has so far only marginally undertaken work with fragments. 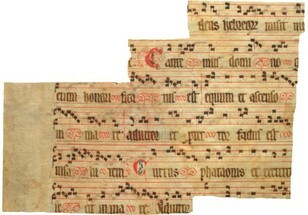 The Internet offers extraordinary potential for overcoming some of the chief difficulties of traditional fragment research. 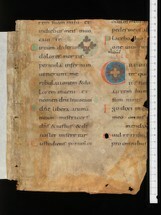 Building on the technology developed by e-codices - Virtual Manuscript Library of Switzerland, Fragmentarium offers an application for scholarly work with fragments. 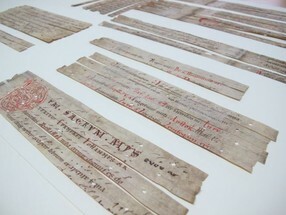 Collaborating with 16 partner institutions throughout Europe and the USA, the project aims, over the next years, to lay the foundations for research on medieval manuscript fragments by providing open standards and guidelines.